Lead People to Faith in Christ – Our greatest goal in 2018 and every year will be to keep pointing people to Christ and leading them into the new birth experience. 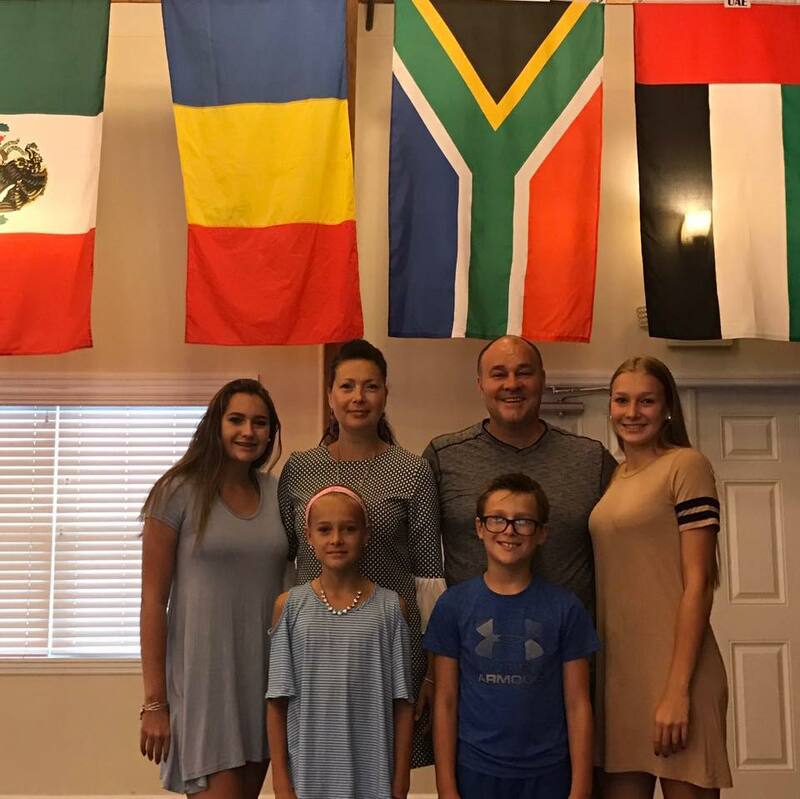 Build Momentum in Romania – Including the Leaman family’s summer outreach, Jeremy is planning to travel to Romania 4-5 times, to grow relationships, broaden our network, and discern our first ministry locations. Begin Consulting work in Florida – This will provide the springboard needed to begin recruiting, training, and placing coaches, consultants, and chaplains in Romania. Click image below to view PDF version of Vision 2023. Regarding the first step in 2018, Ten Million For Christ’s plan is already underway. In early April, Jeremy and Duval renewed and deepened relationships in both Galati and Baru and made TMFC’s first visit in Cluj. This summer, Jeremy, Gabriela, and the children will continue building relationships in Cluj, including the John Maxwell event. The family also hopes to reconnect with friends in Baru as well. 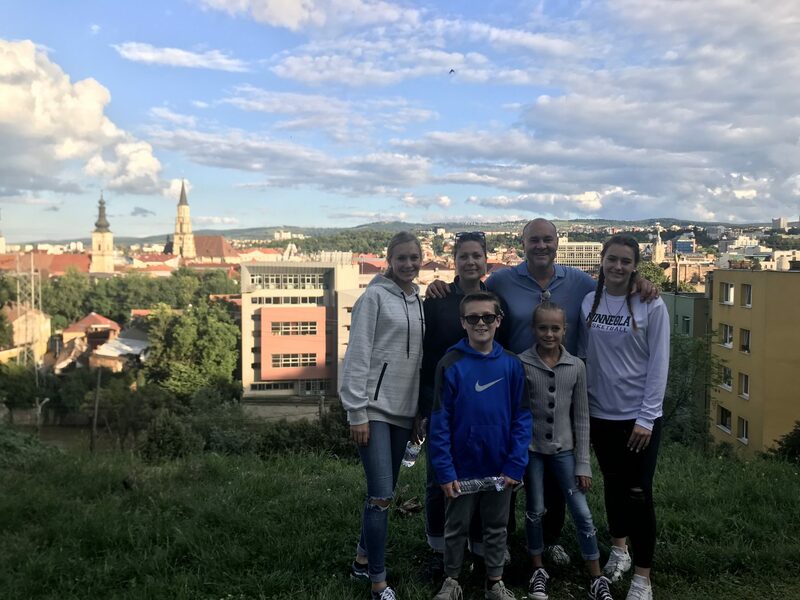 Later this fall, Jeremy is planning on two trips and expects to make another visit in Galati and Baru, reconnect with the YWAM base in Constanta, make his first visit in Timisoara, and keep strengthening the relationships in Cluj during each trip. Pray for favor over Ten Million For Christ and for all of these travel plans. Pray especially for strong connections with churches who want to partner with us. We know that God will make it clear in December of this year, where He wants TMFC to focus first. We are believing for invitations from the churches in both Galati and Cluj, and then the board will discern how God wants us to move forward in 2019. 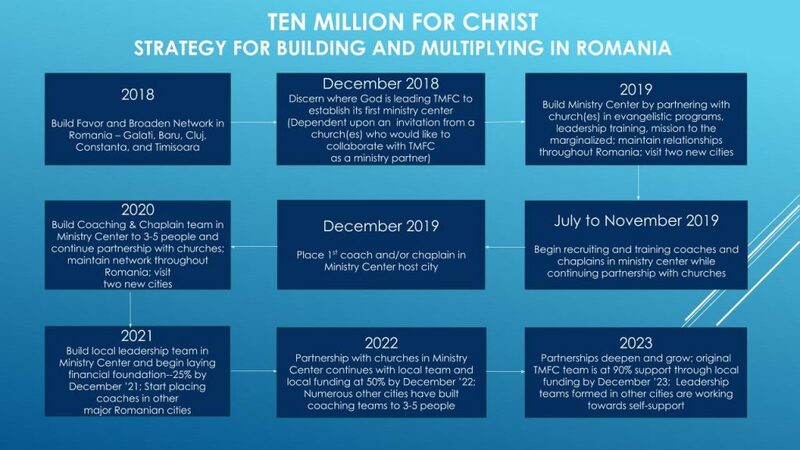 Formed our board of directors, developed our vision, and raised the prayer and financial support to launch Ten Million for Christ in early-March. Moved our family to Clermont, Florida in late-March and enrolled Jasmin, Michelle, Aryel, and Chandler in their new schools. Completed YWAM’s DTS training (Gabriela and I) from early-April through mid-June. Served in Romania for five weeks this summer as a family. In Constanta, we worked in a gypsy neighborhood and encouraged a youth group. In Baru, we befriended 11 children and youth who live at House of Joy and pointed them to Christ in every way we could. Highlights this fall include finding a church to call home, persevering with new schools, cultivating our relationship with YWAM, attending the Jesus17 event in Orlando, and deepening the foundations of Ten Million for Christ through two trips to Lancaster.